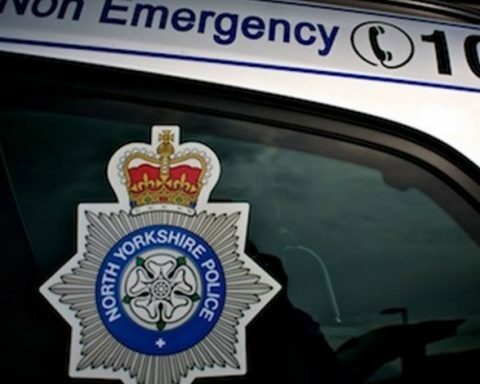 North Yorkshire Police is backing a week-long, national campaign to raise awareness of burglary, the handling of stolen goods and the need for residents to be vigilant and take adequate crime prevention measures. Across the country police see an increase in burglaries during November and the run up to Christmas. Criminals know that homes will be full of desirable Christmas gifts and will take any opportunity to steal them. Although huge progress has been made by the police and partner agencies over the past ten years with burglary down by 48% across England and Wales, it still presents daily challenges for the police service and causes great distress to victims. In support of the campaign, throughout the week of 18 to 24 November 2013, North Yorkshire Police and local Community Safety Partnerships are holding a raft of initiatives across York and North Yorkshire including crime prevention road-shows, property marking sessions, advice surgeries, as well as distributing free security devices such as timer switches to vulnerable residents. The targeting of your home, followed closely by the theft or damage of personal possessions often has devastating and lasting effect on homeowners, their family and the nearby community. North Yorkshire and the City of York may have the lowest crime rate in the country but are not complacent and are committed to doing everything we can to prevent burglary and the movement of stolen goods. Householders should not be complacent about their home security either. Even the most simplest crime prevention measures go a long way in helping to deter crooks and reduce incidents. Locking your doors, investing in a light timer switch and hiding valuables out of sight will help deter an opportunist burglar. This week is about highlighting the need for people to protect their belongings and asking residents to help us to help them. I urge as many people as possible to take full advantage of the free crime reduction initiatives going on around the county this week and to take heed of our crime prevention advice. Residents are also urged to be vigilant and report any suspicious people, vehicles or activity in their neighbourhood. You know your own neighbourhood and what looks right and what is out of place. Many suspects have been arrested and crimes prevented by people acting on their instinct and calling in with information. Do not hesitate to call us and report anything suspicious on 101, if you see a crime in progress always call 999. North Yorkshire Police will be using social media throughout the week to disseminate crime prevention tips and keep you up to date on burglary activity going on across the force. Around one third of all burglaries are committed by opportunist thieves who are on the look-out for open doors and windows and tempting items left on view. Always lock your doors, even when you are at home. Remember to lock downstairs windows and remove any items from your garden which could help thieves access your home such as ladders and garden tools. “2 in 1 burglaries” are where the thieves break into a house to get their hands on the keys to vehicles parked on the drive. These offences tend to be organised and pre-planned and are usually committed by travelling criminals from neighbouring counties. Always hide your car keys from view and where a burglar cannot find them. If you have a garage, always use it, if a burglar can’t see your car, they can’t steal it. Use the following check list to ensure you take the most basic security measures. Don’t tempt thieves by leaving valuables on view through windows, letterboxes or cat-flaps. Keep your car in the garage if you have one. If thieves can’t see your car – they can’t steal it. York police and the Safer York Partnership will be hosting property marking events throughout the week using the latest technological tool called Hermes. The device enables rapid registration of valuables such as laptops, phones, TVs, cameras and cycles, onto the national property register called Immobilise. This means that if your property is stolen and recovered, the police know instantly if the property is stolen and it can be quickly reunited with its rightful owner. Security experts will be able to advise you on the most up to date products to keep your home as safe as possible. To help crack down on sneak-in burglaries and valuables left on view, night time patrols will go on throughout the week to check for insecure properties and deliver crime prevention advice. York police will also be targeting student accommodation with proactive crime prevention patrols to check for insecure properties and to hand out crime prevention advice. The Harrogate Community Safety Partnership will be hosting a day of action on Wednesday 20 November in Bilton and Woodfield where they will handing out crime prevention packs to local residents and working with the local Neighbourhood Watch coordinator. Officers will also be visiting second hand shops as they work to reduce the movement of stolen goods. Crime prevention surgeries will be held across the district. Vulnerable areas and previous victims of burglary will be visited and crime prevention advice disseminate to residents. Officers will be visiting second hand shops as they work to reduce the movement of stolen goods. Joint patrols will be carried out with Cleveland Police targeting cross-border criminals. Proactive patrols will target insecure premises and officers will be handing our crime prevention advice.